Facebook / Sunwing AirlinesThe Sunwing aircraft was escorted by two F-15 jets from the US Air Force during its return to Montreal. A Canadian man may have to pay over $US17,450 after his unruly behaviour forced a Sunwing Airlines plane to turn around mid-flight in July, CTV News reports. In addition to the $US17,450 payment, prosecutors have requested that the man be put on three years’ probation, during which time he would have to forfeit all of his travel documents and remain in Quebec. During the July 2017 flight from Montreal to Cuba, Nassios reportedly consumed alcohol, became angry, and bothered flight attendants and other passengers after a 50-minute delay, according to CTV News. A Canadian man may have to pay over $US17,450 after his unruly behaviour forced a Sunwing Airlines flight to turn around mid-flight in July, CTV News reports. The aircraft was escorted by two F-15 jets from the US Air Force during its return to its origin, Montreal. The man, 40-year-old Charalabos Nassios, has plead guilty to charges of assault, mischief, and uttering threats on the flight and will be sentenced on April 18. 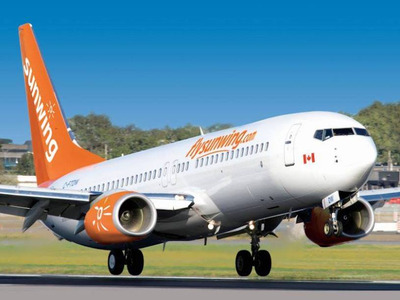 Prosecutors want Nassios to pay over $US17,450 in damages to cover the fuel, landing fees, overtime salaries, and hotel costs Sunwing had to pay as a result of returning the flight to return to its origin. They have also requested that Nassion be put on probation for three years, during which time he would have to forfeit all of his travel documents and remain in Quebec. Nassios’ lawyer contested the prosecution’s request, claiming that Nassios doesn’t have the financial resources to pay the damages. During the July 2017 flight from Montreal to Cuba, Nassios reportedly consumed alcohol, became angry, and threatened flight attendants and other passengers after a 50-minute delay, according to CTV News. In March, a United Airlines passenger was restrained and questioned by law enforcement after trying to open the cabin door mid-flight. In February, an American Airlines passenger was detained after he ran onto the tarmac and threatened employees at Charlotte Douglas International Airport.